[News] What’s troubling actor Jang Keun Suk? What’s troubling actor, Jang Keun Suk these days? At the young age of 26, Jang Keun Suk has already achieved so much in life. He has become a huge star, known throughout every corner of Asia. 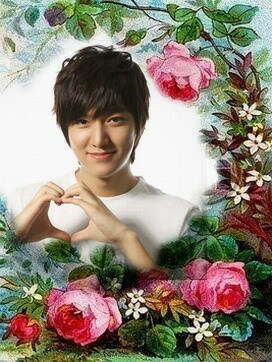 The public have praised him as the top Hallyu star who conquered Japan. With such a strong image and reputation, it’s only expected that high expectations would follow suit. However, low ratings in Jang Keun Suk’s latest drama seems to drawing much criticism from the public. Jang Keun Suk has addressed this issue in his latest interview. On April 27th, Jang Keun Suk had an interview session at the filming location of ‘Love Rain‘, where he shared his thoughts about the drama’s poor ratings and what not. During the interview, he honestly expressed, “I wish people would stop expecting me to always achieve success“. “I’ve never been too concerned about the poor ratings while filming the drama, thus far. The shootings are fun and it’s enjoying to work with the staff, that I’m not bothered even if the ratings are bad. One thing that I really want to say is…I wish people didn’t give me the pressure by always expecting me to achieve success. I know that there have been a lot of talks about the poor ratings, but I am only 26 years old. Do I have to obtain everything? I think that I’m at the stage where I can experiment and experience failures. Right now, I’m experiencing failures and freshly starting new challenges“, he said. On this day’s interview, Jang Keun Suk stressed that although, people consider him as the top hallyu star, he has much to learn and experience. [Photo & News] Fashion Expert Names miss A Suzy and Kim Soo Hyun as “Baeksang Awards” Best Dressed. Earlier today, MBC “Good Day” featured a segment that took another look at the red carpet fashion during the “48th Baeksang Arts Award,” which was held last week. During the feature, stylist Shin Woo Shik named miss A’s Suzy and Kim Soo Hyun as the best dressed of the night. The episode introduced more red-carpet fashions and noted brothers Park Yoo Chun and Park Yoo Hwan's similar hairstyles that night. [News] JYJ Kim Jae-joong to hold fan meeting in Taiwan late May. JYJ Kim Jae-joong has been slated to hold his solo fan meeting in Taiwan next month, according to his agency C-JeS Entertainment on Monday. The announced meet-and-greet, dubbed “2012 KIM JAE JOONG FANMEETING IN TAIPEI,” will be joined by some 25,000 fans at the ATT Hall in Taipei on May 23, the statement said. At the forthcoming event, Kim will reveal what he has been doing recently and memorable episodes that happened during his TV series "Protect the Boss" shooting. With "Protect the Boss" becoming a huge hit in the country, he also plans to sing “I'll Protect You” off the TV series’ soundtrack and play games with the local fans. “Kim’s series that aired on Taiwan’s GTV last month has been so popular that the broadcaster and the show’s distributors are currently in negotiation to re-air the drama soon,” a local promoter was quoted as saying. The firm added that further announcement regarding ticketing information and the show will be informed on a later date through Kim’s official website and Taiwanese ticketing websites. Aiming to strengthen his foothold in acting, Kim is prepping up for two projects so far this year: a TV series and a movie. Taming up with Hallyu actor Song Seung-heon and KBS' "SungKyunKwan Scandal" queen Park Min-young, he is in the middle of shooting the forthcoming TV series "Timeslip Dr. Jin" (tentative title) set to air on May 26. For the big screen, Kim will be playing a top singer in Korea with actress Song Ji-hyo in comedy “The Jackal is Coming” and the leading actors have already finished the script reading session, according to the firms officials' announcement last week. [News] Shin Ha-kyun to star in new movie, set to begin production in July. Top Korean actor Shin Ha-kyun will take on the leading role in an upcoming movie, making his return to the big screen since war flick “The Frontline” last year. Shin's manager told 10Asia over the phone on Friday that Shin has made his decision to star in "The Restless" director Jo Dong-oh's movie titled "Running Man" which will begin shooting this July. "He is currently working out and preparing himself mentally and physically to play the role of a car engineer who somehow uncovers the country's secret," the official explained, adding that he is also the father to teenage actor Lee Min-ho's character. The upcoming flick is also the first Korean feature that Fox International Productions, a subsidiary company to 20th Century Fox, has been named as the main investor to. Shin, who made his debut in 1998, has mainly appeared in movies including "Joint Security Area" (2000), "Guns & Talks" (2001), "Welcome to Dongmakgol" (2005), "Thirst" (2009) and "The Frontline" (2011). He has starred in several small screen productions such as "Good Person (MBC, 2003)" and in KBS' "Brain" for which he won the grand prize at the 2011 KBS Drama Awards. [News] Yoo Seung-ho confirms cast in Lee Joon-gi's upcoming TV series. Lee Joon-gi's upcoming mini-series on MBC is growing more promising by the day, with yet another quality actor to join an already impressive roaster. Actor Yoo Seung-ho has been earmarked to play the Great Jade Emperor at "Arangsatojeon" (tentative title) set to air in July this year, the show's promoter Pink Spoon Media announced through a press release on Friday. The teenage actor is the latest star to be linked with the project, following an announcement early this month that actor Yeon Woo-jin has signed on to play a villain named Joo-hwal. In the forthcoming historical series, which combines fantasy and melo-drama genre, other main casts include actresses Shin Min-ah-- the female lead in "My Girlfriend is Gumiho" (SBS, 2010) opposite Lee Seung-gi-- and Hwang Bo-ra, who is currently starring in KBS' Love Rain as a perky character. According to Pink Spoon Media's statement, Yoo's character "provides the key to solve the problems that the lead characters Arang(Actress Shin Min-ah and Eun-oh(Lee) go through." Aiming to hit the small screen in about two months, the show's crew will begin their shooting in May. Yoo, who made his debut at the early age of ten, has many credits under his belt including debut film "The Way Home" (2002), "Love Letter" (MBC, 2003), "Queen Seon-duk" (MBC, 2009) and "Master of Study" (KBS2, 2010). Last month, he wrapped up starring in "Operation Love" (translated title) on Chosun Ilbo's cable television channel, and finished shooting actress and director Ku Hye-sun's short film, "Scattered Pieces of Memories" (translated title). [News] Ko Hyun-jung on the poster of "Miss Conspirator". Ko Hyun-jung's movie "Miss Conspirator" which is due to be released in June has let out its poster and teasers. Movie Company Dorothy revealed the teaser poster for "Miss Conspirator" on the 30th. In the poster, Ko Hyun-jung is holding a gun with her eye downwards, as if she was waiting for something to happen. Next to the picture it's written, "Yoo Hae-jin, Sung Dong-il, Lee Moon-sik, Ko Chang-suk, Park Shin-yang, you messed with the wrong person by Ko Hyun-jung". "Miss Conspirator" is about a woman with panic disorder getting involved in a drug case and has been an issue since the fact that Ko Hyun-jung was going to be the main cast of the movie was known. [VOD / Photo & Preview] "Love Rain" Episode 11. Kim Yoon Hee: I’m sorry. Jung Hana: Do you cook well? Lee Sun Ho: I like cooking. Jung Hana: If you think about it, we have a lot of things in common. Seo Joon: Ahjumma! One more bottle of soju! Baek Hye Jung: Let go! Meanwhile, “Love Rain,” starring Jang Geun Suk and Girls’ Generation’s YoonA, has been struggling in the ratings, dropping to 5.6% last Tuesday night. 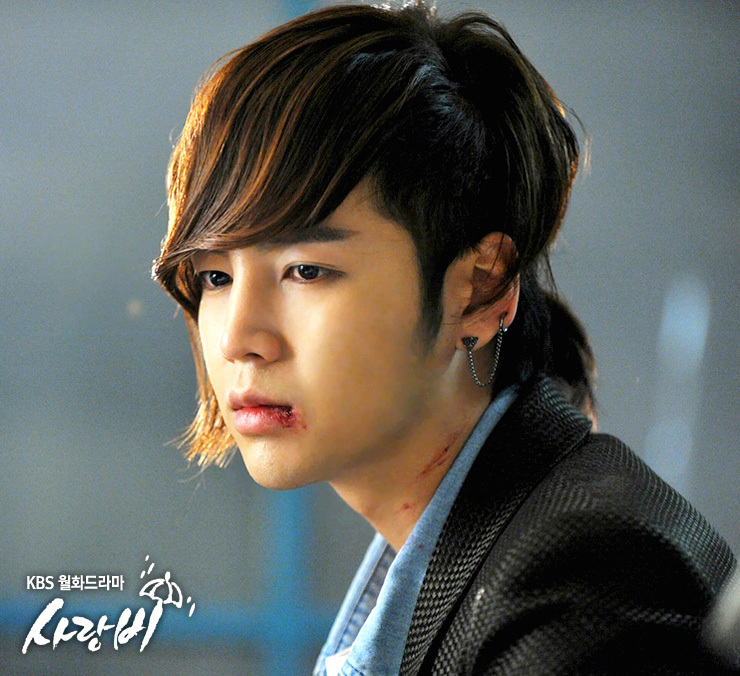 “Love Rain” will air its eleventh episode tonight, April 30, at 9:55PM KST. [News] Jang Keun Suk Involved in a Big Car Accident, to Cancel April 30 Drama Filming. 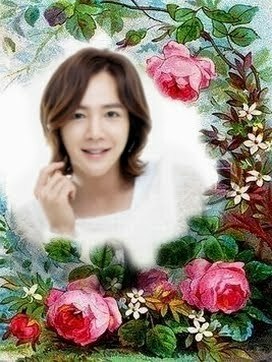 Due to a car accident that occurred on April 29, it looks like Jang Keun Suk will not be filming “Love Rain” on April 30. On April 29, Jang Keun Suk was going back to Seoul after the filming for “Love Rain” around 5am. Around Yeoju in Gyeonggi province, Jang Keun Suk’s car ran into the guardrail. The car was partially destroyed. 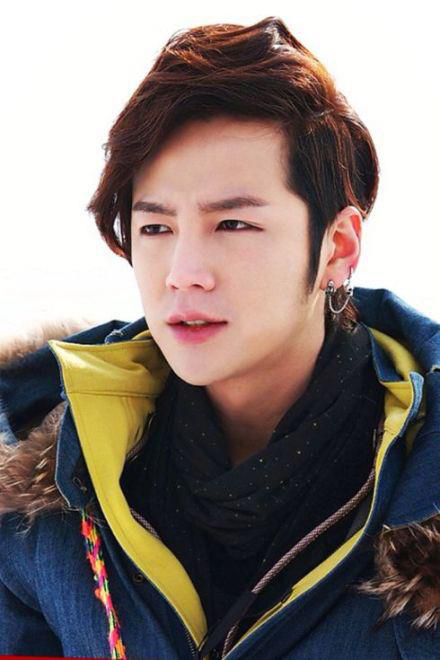 Jang Keun Suk did not take a complete medical exam and continued on to the next filming set. Jang Keun Suk is very tired because of his killer schedule. Although he did not have serious injuries after the car accident, he had bruises all over his body. [News] Jang Keun Suk involved in car accident on his way to ‘Love Rain’ filming site . Asia Prince Jang Keun Suk was involved in an automobile accident early morning today. Jang Keun Suk and his two managers were in the car which was involved in the accident and reportedly his manager was driving. After the accident, Jang Keun Suk left for a quick check-up in the hospital, following which he returned immediately to the drama Love Rain filming venue. Jang was returning to Seoul for Love Rain shooting and while the accident took place, he was in the backseat of the car. The car was said to have hit guard rails, which are placed on top of a cliff. Fortunately, actor Jang was not seriously injured, sustaining only some bruises and pain. Tree J had asked Eels all over the world to not worry and asked them to check the official site for more updates. Today, Actor Jang himself tweeted pictures of the accident and fans were relieved that Jang was fine. Trans: Asia Prince lives twice…..Anyway…who am I and where I am….? His tweets, which shows that despite the life threatening situation he has been in, he is still alive and well. His tweet of a picture shows that Keun Suk has returned to Love Rain filming site but is still experiencing pain. Trans : Gun-chan who is complaining about the pain. Yes, Jang Keun Suk has indeed lived twice and hoping he will not have any after shocks from the accident. Fans were thankful to Jang Keun Suk for personally informing them of the accident and also about his condition. He is continuing to receive supportive messages wishing for his good health and also Love Rain filming`s success. Asia Prince, please stay strong. [Spoilers] New still cuts of ‘Love Rain’ foreshadow a dark change. Still cuts of a solemn bed scene between Girls’ Generation‘s YoonA and Jang Geun Suk have been released in anticipation of the upcoming episode of KBS‘s ‘Love Rain‘. While ‘Seo Jun’ and ‘Jung Hana’ have been enjoying each other’s company after finally confessing their feelings for one another, it seems the drama will be taking the couple down a less-than-romantic path, as the still cuts reveal a solemn faced ‘Seo Jun’ looking over the sleeping form of ‘Jung Hana’. As if exhausted, he falls asleep next to her, making viewers wonder whether their relationship will take a change for the worse. The next episode broadcasts on April 30th. [VOD / Photo & News] Singaporean team behind S.H.E Ella Chen’s wedding shoot. Betcha didn't know the people behind the lens for Ella Chen's wedding photoshoot at Guam and her recent engagement in Ping Tung, Taiwan, was done by a team of Singaporean photographers, led by Anthony Levi Kho from Let There Be Light. Anthony and a team of videographers from Vocare Media Production spent a total of six days in Guam for the pre-wedding bridal shoot which was done in-between the filming for her new EP, Thick Skin, and the Ping Tung ceremony was done by Vocare Media Production and a team of photographers (Anthony, Gabriel Mendes, Ron Lee from EyeDeas Photography and William Chua Photography) led by Anthony. In a phone interview with xinmsn, Anthony shared that it was easy to capture the "fun couple", Ella and her fiance Alvin Lai, in their candid moments. "Everything's easy. It helps that she knows her best angles, and we just have to use her best angles and complete it with some of our photography style," he quipped. Set to bring a team of four photographers from Wedding Photographers Network to cover Ella's actual wedding day in Taipei on May 5, Anthony said, "In Taipei we don't need so many people 'cos it'll just be a dinner. They told us the press will be divided to another level so let's hope for the best. In Malacca where all the bridesmaids, haggling and fetching ceremony will take place, it will be an eight-member team instead." Not his first time working with Asian celeb couples, Anthony told xinmsn that he previously shot Blackie Chen and Christine Fan's wedding, Barbie Hsu and Wang Xiaofei's top-secret Sanya wedding in Hainan last year, as well as ex-MTV VJ Jason Tang's big day. For those wondering how all these work opportunities with regional superstars came about, Anthony told us it all started in 2008 during his first shoot with Blackie in Singapore. "He told me 'Why not go over to have a look at the market there?' So I started traveling to and fro Taiwan at his advice and we started getting more jobs there. We shoot between these two countries and started to shoot in Hong Kong and China last year for weddings and corporate jobs," he said. Ella's wedding photography gig came along after he worked with her on the behind-the-scenes photography for her recent movie with Vic Zhou and Xiao Xiao Bin, Perfect Two. Anthony shared, "We became better friends at Da S wedding. I chatted with her when we were working on Perfect Two and asked her what she was looking for in her wedding photography." When we asked if it was stressful to cover their weddings, Anthony chuckled in reply and quipped, "The scary one I shot was Blackie's wedding 'cos of the press present. When we were shooting their church ceremony, we had to fight with the press for space although we were allocated positions for it. "It was especially chaotic when the couple came out from the car to enter the church. We had to squeeze with the relatives and the press (laughs)." He added that the "quick and short turnover time" is the most challenging aspect of covering these celebs' weddings, "You need to shoot, pick and send out photos to the press immediately. The usual turnaround time for normal weddings takes more than a month, but for the stars, it's on the day itself." Ella Chen and Alvin Lai's wedding shoot in Guam. Ella Chen and Alvin Lai's engagement ceremony in Ping Tung. [News] Is Vic Zhou dating his ex co-star Reen Yu? The actress claims to be dating a 30-year-old artiste and many are assuming that her suspected beau is none other than Vic Zhou. Even before the dust of his previous scandal with Bowie Tsang has settled, Vic Zhou, is now rumoured to be dating Reen Yu, his 24-year-old co-star in the drama, Black & White. It is reported that the 24-year-old actress who is currently filming her new drama, complained that she has "no chemistry" with co-star Sunny Wang. Using personal reasons as excuses, Reen refused to cooperate with the filming schedules' changes on several occasions and appeared to be busy with her phone during break times. The crew revealed that the actress once boasted about her relationship status and claimed that her 30-year-old boyfriend is also an artiste, a Gemini, and drives a Lamborghini, sparking off speculations that the man in question refers to her Black & White co-star, Vic. Responding to the rumours, Reen clarified that the pair "seldom contact each other" and are "just friends". She added that the car owner mentioned referred to her "brother's good friend" and not 30-year-old Vic. Vic's manager emphasized that the actor has yet to change his car (to a Lamborghini) and asked everyone to "treat the rumours as a joke and forget about it after laughing". [News] Japan to lock deal with KBS for TV series "Man From the Equator". 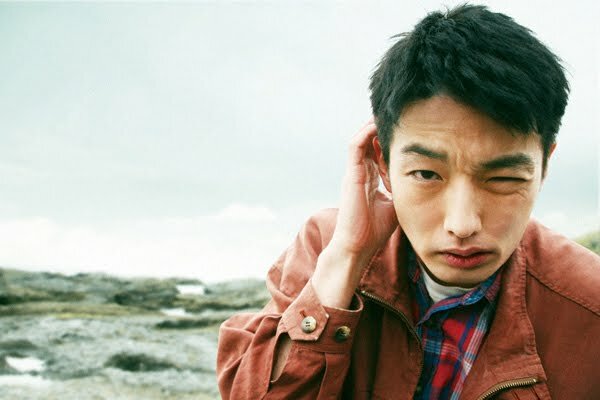 A major broadcasting company in Japan is currently in the process of finalizing a deal for the distribution rights to KBS' TV series "Man From the Equator." "The two companies have gone through the final stages of negotiations and will soon sign the contract so that 'Man From the Equator' can air in Japan," an official with the show's promoter Pan Entertainment told 10Asia over the phone on Friday. When asked if other countries have inquired about the rights for the show, the rep explained that several countries have shown interest in the series though nothing has been set in stone. Currently the No. 1 show on the Wednesday and Thursday primetime lineup, the Uhm Tae-woong, Lee Jun-hyuk and Lee Bo-young starrer has recorded ratings in the 14 to 15 percentile range, beating out SBS' "Rooftop Prince" and MBC's "The King 2Hearts." Written by famed scenarist Kim In-young, "Man" tells the story of one man's desire to rise to the top and how he betrays his childhood friend in the process. [News] Change in plans for Song Jong Ki's fan meeting in Singapore. This just in: Event organisers of Korean actor Song Joong Ki's first Asia Tour Fan Meeting in Singapore "Thrill & Love" just updated xinmsn that they have "decided not to proceed further" as organisers of the fan meeting due to unforeseen circumstances beyond their control. A rep from Colored Rhythms declined to further comment on the matter when xinmsn approached them for an in-depth explanation. In the press release, Colored Rhythms said, "We sincerely apologise for any inconvenience caused to all Song Joong Ki fans as well as anyone who has supported this event in one way or another. We earnestly seek their kind understanding. We strive to work even harder and hope everyone will continue to show us your kind support in future." Fans who purchased tickets via SISTIC for the May 20 event will be able to get a full refund for it. If you purchased your ticket using a credit card, the refund will be credited back to your card automatically. No further action required on your part. If you purchased your ticket using cash or NETS, you may proceed to SISTIC office at Singapore Indoor Stadium between May 2 and May 9 with your ID and original tickets to obtain a refund. SISTIC will be contacting all affected ticket holders via phone or email from April 30 onwards to assist with the refund procedures. No further action is necessary for those who have emailed Colored Rhythms with regards to the autograph and Hi-5 passes as no payment have been made. Colored Rhythms informed xinmsn that there may be a new organiser for the event. Kindly stay tuned to xinmsn for further announcements from the new organiser. [News] Kim Soo-hyun takes role of pretty-boy spy. Kim Soo-hyun has picked his next project, after hitting it big with 'The Moon That Embraces the Sun', which netted him a recent Baeksang Award, and it’s a spy movie with an entertaining premise called Covertly, Grandly. That’s the literal translation; perhaps a better-sounding English title will be released later. It’s an adaptation of a popular webtoon series on Daum by writer HUN, and Kim will play the lead, Won Ryu-hwan. He’s a 24-year-old secret agent from the North who’s dispatched to South Korea with an airborne unit. Once he infiltrates a remote town, he assumes a new name and the cover of, essentially, the village idiot. Heh. Fluent in five languages (including English and Russian) and an expert sniper to boot, Ryu-hwan gets to know the villagers and gathers intelligence on their political and military leanings, which he reports back to the North. On top of that, the film will be directed by Jeon Hae-hong, who directed the tense thriller Poongsan starring Yoon Kye-sang, which also dealt with the North-South divide. Sounds like a movie to keep our eyes on. Covertly, Grandly begins filming in July. [News] Hally Star Jang Keun Suk 'Patriots'. A Korean manufacturer was recently asked to make Jang Keun Suk fancy goods by a big Japanese company. This Japanese company made a contract with Jang Keun Suk and had a plan to produce ‘Jang Keun Suk goods’. Many Hallyu stars’ goods are produced in Japan. For cutting costs, However, most of these goods are produced in China and Southeast Asia. But having a meeting with the Japanese company, Jang Keun Suk asked, “Even if it costs more, I want my goods to be made in Korea.” The company accepted Jang’s request and made a contract with the Korean company. This impressive story of Jang Keun Suk is quite well-known in the industry. Jang Keun Suk revealed that he is going through a second puberty. At the shooting site of KBS 2TV’s Love Rain, which took place on the afternoon of April 27 nearby Hongik University, Jang revealed that he likes to stay at home longer than he did before. Jang will release his album in Japan on May, and start his Asia Tour in July. [VOD / Photo & News] Full trailer for ‘Kueki Ressha’ starring Moriyama Mirai, Kora Kengo & Maeda Atsuko revealed. On April 27th, the official website for the upcoming live-action adaptation of Nishimura Kenta’s award-winning novel “Kueki Ressha” revealed a full trailer. “Kueki Ressha” stars the much acclaimed actor Moriyama Mirai and the ambitious young actor Kora Kengo, while AKB48’s Maeda Atsuko takes on the role of aheroine that didn’t appear in the novel. Yamashita Nobuhiro (“My Back Page”) directed the live-action adaptation. 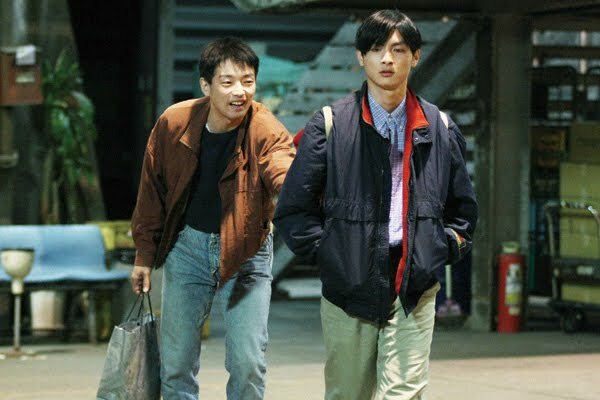 The story is set in 1986 and depicts the life of the junior high graduate ‘Kitamachi Kanta’ (Moriyama) who neither has money, friends nor a girlfriend. He’s making a living as a day laborer and one day he meets the vocational school student ‘Kusakabe Shoji’ (Kora). They actually start to develop and maintain a great friendship. With the help of Kusakabe, Kitamachi also manages to become friends with ‘Sakurai Yasuko’ (Maeda), an employee at a second hand book store with whom he has fallen in love at first sight. However, the more he hangs out with Kusakabe, the more their friendship starts to crumble due to Kitamachi’s delusional jealousy towards his friend. Moreover he isn’t able to keep his distance towards Sakurai, which initially leads to a rejection. All those experiences eventually help him to finally mature as a person. The trailer features various scenes that spark curiosity, such as Moriyama, Kora, and Maeda having fun at the sea in just their underwear; Moriyama licking Maeda’s hand; and a kiss scene between the two in the middle of a downpour. “Kueki Ressha” is set to open in cinemas nationwide on July 14th.